No seriously……..Who raised these people??? I meet so many different people who have had the same struggles as me. I meet people who have dealt with self-esteem issues and people bullying them and trying to make them feel less than who they are. When I hear about tragedies like the many hate crimes occurring all over the world or about how people have to deal with family members and co-workers and friends who make it their job to belittle and destroy every ounce of self-esteem they have it blows my mind. These people try to make you feel worthless or like they’re somehow better than you. But it amazes me that the only way they know how to build themselves up is to tear someone else down. I am appalled at how many people in this world feel they are entitled to take someone’s life. It is disgusting to see how many people feel they have the right to tell someone how they should feel about themselves. What people fail to realize is no matter if you’re black, white, brown, yellow, fat, skinny, long hair, short hair, short, tall, rich or poor, WE ARE ALL LEAVING THIS EARTH THE SAME WAY!!! So what makes these people feel they have the right to do whatever they want to other people. I really want to know WHO RAISED YOU????? Did you not receive enough hugs? Did your mommy not tell you that you were beautiful? What makes you think you have so much power? I’m all for opinions but there are some really hurt people who take “freedom of speech” to a whole new level. You have every right to feel how you feel and believe what you want to believe but do you have to spew hateful energy amongst innocent people. Whatever happened to having morals and compassion for others. Like really, who gave you the authority? Who appointed you? Why does love make you so hateful? WHO RAISED YOU????? For example, How is it that you can see an overweight woman who is obviously exuding major confidence and decide it is your place to let her know how fat she really is? Don’t you think she is aware of her weight? You should think its beautiful that she has not let that stop her from truly loving who she is. That is really the first step to any type of change you make in your life. If you can’t learn to love yourself first in the place that you are in that moment of your life, you will never be satisfied with any results. For those who have dealt with or dealing with people like this in your lives, try your best to block them out. These type of people actually have their own deep-rooted issues within themselves. They somehow receive some type of sick satisfaction from seeing you down. They can’t stand to see you happy because they are not happy with themselves. So the next time they try to tear you down just keep smiling and maybe one day it will rub off on them and if not screw them!!! Keep living!!!! Keep Loving!!!! Keep Laughing!!!! And Keep loving yourself!!!!!! 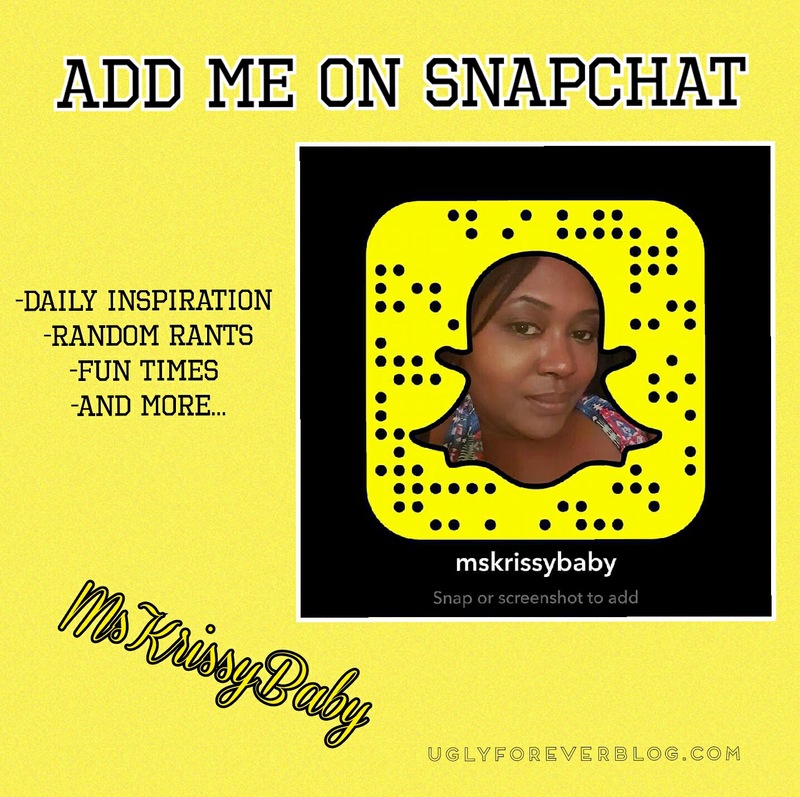 Posted in Feel It Fridays - Random Posts.Tagged Feel It Friday, Krissy G, LOL, Love Yourself, Motivational, Random, Self Love, UGLYForever. I agree that some people can be very difficult to death with. Thank You!!! And Thank you for the nomination!!!! I will get to it soon enough!!!! I’m glad you enjoyed!!! !